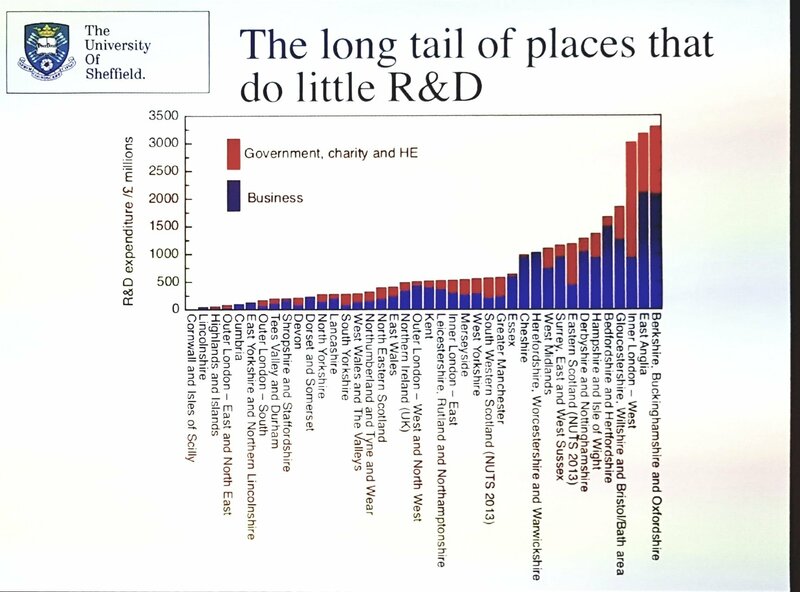 Listening to the talks today at the Smart Specialisation conference – especially the excellent keynote by @RichardALJones – here are some big issues. What do we do about London? And that’s just “Inner London West”! 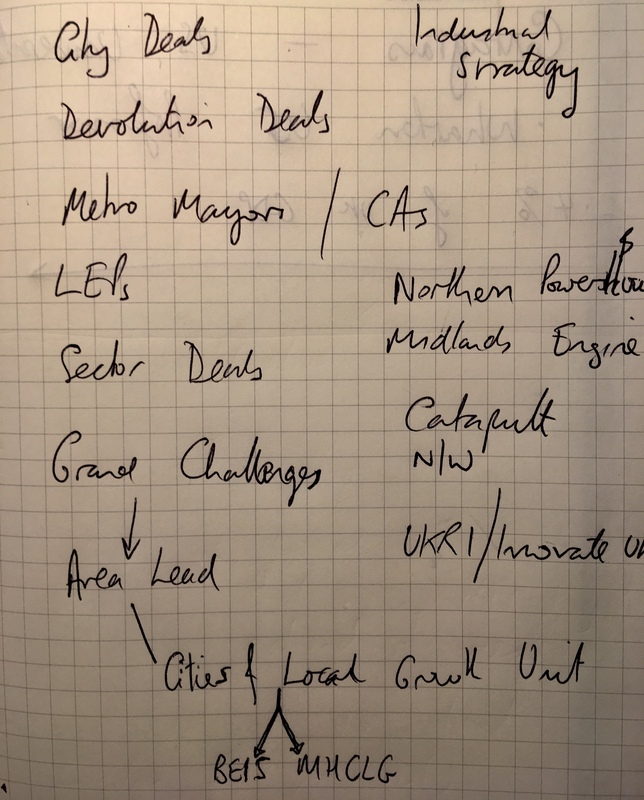 Everything we do that makes anywhere “closer” to London – high speed rail, better connections makes the problem worse – from a regional perspective. What is a Local Industrial Strategy? There is a dilemma here; are we talking about national policies applied locally, or are we really going to develop policy locally that is supported nationally? I’m sure you all mean well but…. Too many initiatives cutting across each other producing a confused innovation infrastructure with little eco-system thinking. How does it all fit together, what is the logic and how does the private sector fit in? Errr…….what’s the framework, what business model is being used, how do we know what the plan is? Not clear. Where was the Private Sector and why no discussion?